Welcome to the monthly e-newsletter for the National Informal STEM Education (NISE) Network and community. Science in the News: Makers of world's smallest machines awarded Nobel Prize in Chemistry, Tobacco plants engineered to manufacture malaria drug, Total solar eclipse 2017: Through the eyes of NASA, Have we found all the elements? Explore Science: Earth & Space toolkit. Two hundred and fifty (250) free toolkits will be awarded to successful applicants from eligible organizations [view eligibility requirements] for use in at least one public engagement event between March and May of 2017. 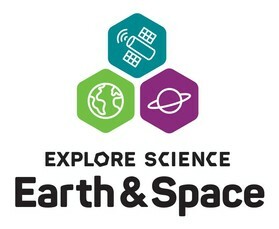 The Earth & Space toolkit will include eight to ten hands-on activities that are designed for family audiences and appropriate for visitors ages four through adult. Toolkits are designed to engage the public in Earth and space sciences including heliophysics, Earth science, planetary science, astrophysics, and their connections to society. Toolkits will also include professional development materials, training videos, event planning guides, and marketing and promotional materials for planning your events. Some Building with Biology sites hosted hands-on events and forum conversations with scientists in conjunction with a Teen Science Café at their organization, some of which are affiliated with science museums, or within a local community space. Teen Science Cafés are out-of-school programs that are a free, fun way for teens to explore the big advances in science and technology affecting their lives. Being able to share the Building with Biology project and its resources with members of the Teen Science Café Network has been a great opportunity to engage teenage youth in conversations about synthetic biology with STEM experts and provide leadership training and new skill sets by having teens facilitate hands-on activities to their peers. Read this month's Partner Highlight to learn how adult mentors of teen science cafés were able to experience Building with Biology activities and forums first-hand. If you received a physical Explore Science: Zoom into Nano kit, please make sure that you complete your online project report here. The National Science Foundation and the National Nanotechnology Initiative issue a challenge to high school students to design a superhero with nanotechnology-enabled gear that addresses one of four possible societal missions: nanotechnology for justice, relief, health, or the environment. Visit the Generation Nano page to learn about entry guidelines, timeline, prizes, nano resources, and much more! Entries are due by January 31, 2017. The teen years are a time of exploring new frontiers and making important decisions that will change lives in ways that cannot be known. The same can be said for the field of synthetic biology-it is a time of great exploration and possibilities, myriad choices, and cautious trepidation of the unknown. Thus, it was fitting to host a science café for adult mentors of teen science café programs to introduce them to the field of synthetic biology and provide them with rich resources that can be used in a science café explicitly for teens. During the 2016 Teen Science Café Network annual workshop held in August at the Explora! Museum in Albuquerque, New Mexico, 41 adult mentors of teen science café programs participated in a science café on synthetic biology led by Drs. Kathryn Penzkover and Stacey Forsyth of the University of Colorado-Boulder. The event was structured like a teen science café, which is designed to engage teens in exploration of the rapidly changing fields of science, technology, engineering and mathematics. Through short, engaging presentations, followed by rich conversation and hands-on activities with an expert, teens can begin seeing their future through the lens of rapidly changing science and technology. They come to understand the nature of science and engineering discoveries and careers and become comfortable discussing science topics and weighing multiple perspectives before making a decision. The programs are led by teens, for teens, with the help of adult mentors. Read the full Partner Highlight about how the Teen Science Café Network is engaging youth in conversations about synthetic biology. Had an awesome time teaching kids about #BuildingWithBiology at @MorrillHallUNL Museum Day Live! So excited that I get to go to #BuildingWithBiology at @MadisonScience for @WiSciFest! I worked with @sciencemuseummn to develop some of it! Three scientists and colleagues have been awarded the Nobel Prize in chemistry based on their pioneering research in the development of nanomachines, the world's smallest tiny moving machines about one-thousandth the width of a strand of human hair. The Royal Swedish Academy of Sciences said in their award announcement that "in terms of development, the molecular motor is at the same stage as the electric motor was in the 1830s, when scientists displayed various spinning cranks and wheels, unaware that they would lead to electric trains, washing machines, fans and food processors." One day this technology may allow doctors to inject nanorobots into your bloodstream that are able to search for cancer cells or deliver drugs more efficiently, or lead to the creation of "smart materials" that change properties based on external signals [read more about the Nobel Prize in Chemistry for the development of nanomachines]. Malaria infects more than 200 million people a year and kills more than 400,000, mostly in Africa and Southeast Asia, according to the World Health Organization. Artemisinin, a plant-derived compound that is a proven drug treatment against malaria, is often times not accessible to the people who need it, in part because of the challenges of growing the plant in malaria-stricken areas and the drug's high cost due the extraction process. Advances in synthetic biology have made it possible to produce artemisinin in yeast, but the manufacturing processes is difficult to scale up. Researchers have been able to produce it in tobacco but with low yields and also recognizing the difficulty of convincing people to eat tobacco plants. Next steps are to genetically engineer lettuce plants for producing artemisinin, which can in turn be turned into capsules for malaria treatment in a more cost-effective way [read more about engineering plants to produce life-saving drugs]. Are you ready for a total eclipse of the Sun? Grab your proper eye protection or pinhole card because on August 21, 2017, a total solar eclipse will be visible along a narrow path from Oregon to South Carolina in the United States. A total solar eclipse is a rare and exciting event in which the Moon completely blocks the Sun, temporarily turning daytime into nighttime. The Sun is 400 times wider than the Moon but it is also 400 times farther away from Earth than the Moon, so when the Sun and Moon align along the same plane in space and the Moon passes between Earth and the Sun, the Moon appears to be the same size as the Sun causing a total solar eclipse to occur. Visit https://eclipse2017.nasa.gov/ to learn more about solar eclipses, events taking place nationwide, how to get involved or plan your own eclipse party, and to explore educational resources. The NISE Network is currently developing a short guide to help museums and planetariums plan an eclipse event as well as online workshops that provide information on hosting an event when your local astronomers have left for the path of totality. Over the next couple of months we'll be posting the guide and all eclipse related information on our event page here: http://www.nisenet.org/events/other/solar-eclipse-august-21-2017, and online workshop opportunities here: http://www.nisenet.org/events/online-workshop. Have we found all the elements? This newest Reactions video created by the American Chemical Society discusses how elements have previously been discovered, the four elements that have recently been added to the periodic table this year, and the challenges of identifying new elements [watch this short Reactions video, Have we found all the elements?]. Let's give thanks and celebrate STEM throughout November. 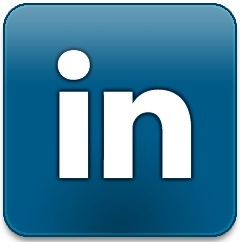 For even more events and activities, visit http://www.nisenet.org/seasons. America Recycles Day (November 15) - "The national recycling rate has increased over the past 30 years. The current recycling rate is 34%." Do you have something you would like to submit for inclusion in the NISE Network monthly e-newsletter? Please send your announcements, articles, or community opportunities to Kayla Berry at kberry@mos.org.